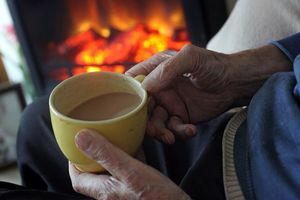 It has been announced that an extension to the government’s Warm Homes Discount Scheme will see pensioners in Wales receive further discounts on their home energy bills this winter. This means an additional 112,000 pensioners can now qualify for the discount. Under the revised scheme, pensioners receiving a Pension Credit Guarantee Credit can now expect to receive an increased discount of £140, which will be deducted directly from their energy bills between October and March. The aim of the scheme is to provide low income and vulnerable households with the peace of mind of knowing that they can afford to heat their homes during the coldest months. This is the latest development in the government’s efforts to alleviate the country’s fuel poverty crisis. But, the scheme has received criticism from Age UK's charity director Caronline Abrahmas, after it was announced that newly qualified pensioners would need to contact their energy supplier to be rolled onto the scheme. The scheme originally began in 2011 and is expected to cost UK energy firms around £315 million this winter.